As a blogger, doing a small interview with Serge Valentin seemed to me quite logical. 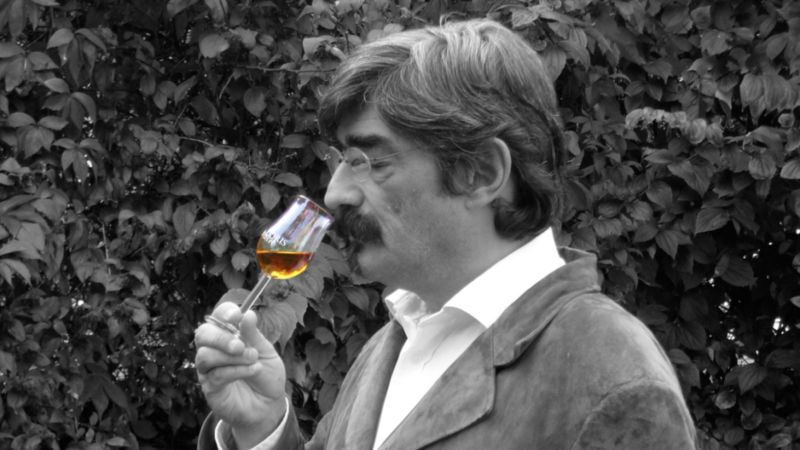 With his website, the well-known whiskyfun, Serge has become THE big spirits analyzer of the web since 2002. He is a reference for a lot of passionates/amateurs like you and me. 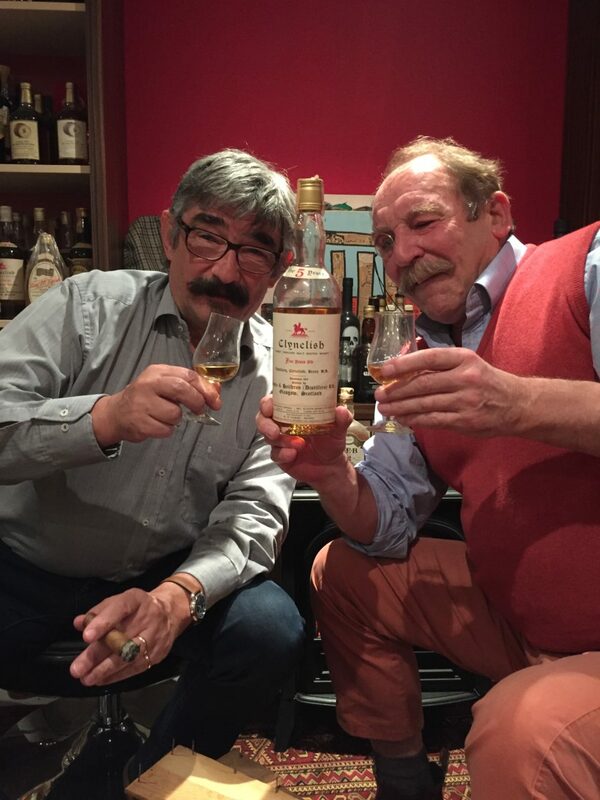 Hello Serge, your site, whiskyFun.com, has existed since 2002, which from a point of view 2.0, is in fact an “eternity”. In 2018, building a blog is quite accessible but it must have been much less simple in 2002 … Where did this idea come from and how did you proceed? In fact, we did not really talk about a blog at the time. My friend Johannes, who had founded the Malt Maniacs, has had a “liquid log” since 1997, As for me, I had a personal paper newsletter that I photocopied and sent to my friends.For me the idea was rather an online tasting notebook, a bit like François Audouze already did for wine. I tried not to use the teams of my agency, and I still do not. Otherwise I would not have kept this technology and this very retro design, they would have made me migrate to WordPress or similar platforms a long time ago. But when I started, all that did not exist and so I did everything “mano” using the first version of Adobe Dreamweaver. That’s what I continue to do, migrating all this to a modern platform would take too much effort, and it’s not feasible by someone who does not know the world of spirits well, and I do not have time to spare. So of course, Whiskyfun is now heavily penalized by google, but I prefer a quality readership rather than quantity. But the audience remains high and I have a lot of backlinks and a high trustflow (note for the pros! ), That’s enough for me. During your tastings, do you have a ritual? How is this one, how do you decide the linup to attack, the order? Given the number of samples to sample, I imagine that you must make choices on the subject but you must also think about the news. Yes, a very precise ritual, which I always respect. I happen to taste out of this ritual, but I do not take notes, except on very rare exceptions. Basically, there are only two places where I taste, always alone and always at home, always without influences, no music or smells, always in the middle of the afternoon (far from the lunch) until the beginning of evening (before dinner), same glasses, same water (Vittel), often a whisky of reference at the beginning, and always coherent series in order to favor the comparisons. And yes, the news can have an influence, for example a new whisky that I want to enjoy quickly. Are not you tired of this rhythm from time to time? Receiving samples implies a certain moral obligation to speak about them, doesn’t it? Are there any weekends when you say to yourself, “No, I don’t feel like it , I’m not in the mood”? Of course, often, and in this case I don’t do it. I always have a lot of advance, several days or weeks, but I can insert very recent tastings to keep up with current events. It allows me to have little pressure. I don’t feel a moral obligation, but if you send me, ten samples for exemple, I try to taste at least five in a few weeks. But there are a lot of people who remind me to talk about their products and sometimes stop sending me samples (also in case of bad scores) but I don’t mind because I have enough, not counting what I source myself, or what friends give me etc. You must receive a large number of note requests via the sending of sample / bottles, how do you manage to manage all this level of timing? I only taste part of what I get, especially since I do it on weekends. I refuse bottles and only take samples, which are of no commercial value, even if I see bloggers who resell some rare “official” samples, which I find distressing. Otherwise, I use an Excel database, otherwise I will not be able to do it. Have you ever recived “propositions” to make a good note ? Do you occasionally have “complaints” from people angry on a note? Buy me a note ? oh no, alas 😉 In any case not directly. Of course there are invitations to travel, for example, but I don’t have time to do them, or very little. Claims, yes, often, of course, from distillery or fans shocked by a note. It’s normal, we are not machines. Your opinion on a spirit can make this one a success or a commercial flop … By knowing this, how do you handle the big disappointments or the huge coup de coeur? Is not it too stressful to be followed by so many people? Some ads or ads even show your score. I don’t think about it ! It was a little stressful at first, but the Scots quickly told me they preferred someone who said what he thinks. And if I did not say it when I did not like something, nobody would believe me anymore when I say I like something else. In fact, they work a lot with fake bloggers they can buy (the famous content creators, always positive), but in reality they despise them. And yes, many sites or merchants use my scores, but as long as they do not bid them, which has happened several times, it does not bother me. And anyway, with all these languages, I can not control anything.The Chinese use it a lot, for example, but how to follow, or even find what they write? And then, all this is quite flattering, I admit. I think the influence is mostly on some single casks, but much less on broad-based spirits. If I had a real influence, no one would make red wine spirits ;-). Have you ever been approached to help or even select a spirit for bottling? Have you already carried out some “consultancy” missions for distilleries? Would that be something that would tempt you? Yes, contacted often. I did it a few times for friends, but never paid. I’m never rewarded, in any way, it’s still a hobby for me. And I do not have enough time to do that, alas, nor to travel for whisky. I would like, but I can not. Let’s talk more about rum, how do you see the evolution of this one in recent years? We are more boom about this spirits and the prices are flying, the quality always follows? How do you see the future? It is quite difficult for me to answer, I am not a rum specialist and we must never forget that enthusiasts like us have a very short-sighted view of the markets, and very distorted. Basically, it’s the sales statistics that are right, not us. That said, and being aware of what I just said, I find that the gap between the world of sharp rum (Neisson, Hampden etc.) and the lower levels is enormous, much greater than in the world of whiskey, and it’s disappointing. You can go to a cellar with 60 € in your pocket and buy a whiskey at random, there is a good chance that you come across a good product. If you do that in rum, you’re dead – and not only if you’re severely diabetic. This probably comes from the fact that rum is very poorly regulated, even if rules exist, and that the word “rum / rum / ron” just does not mean anything about what’s in the bottle.It seems obvious to me, for example, that the addition of anything in a rum, even “at birth” (when filling) should be clearly stated on the label, failing to lead to the obligation to use another denomination, such as liquor, spirits, spiced rum, etc. But it is difficult to contradict someone who really loves Don Papa or Bumbu, it would be pretentious. We can only explain that it is not rum, but even that is difficult, since it is not up to us, or even two or three producers a bit thundering, to impose absolute rules. We can just lobby the authorities, but opposite there are the alcohol groups who have other means and other objectives. We have our blogs and social networks to preach the good word, thankfully! But beware of contempt and elitism ! Whisky is probably five or ten years ahead of rum, but whisky, since a few years, divides the classes, and it is atrocious to see these previously respected brands try to tease the (temporarily) uncultivated rich, especially the Chinese, with big blow of delirious prices. We notice more and more delirious price in the world of rum too… . I imagine that all of this will explode in midair one day. No doubt, but nothing is certain as long as Asia buys everything at any price, whisky in any case. The brands manage to sell prestigious bottles at twice the European prices. On the other hand, they are also under pressure from business buyers, who are often distributors of major brands in huge territories, and who have unlimited cash. They are the ones who manage to obtain very rare casks, by doing a little bit of blackmail. I was a whisky collector, yes, but it was when age was the price. Basically, a 15 year old Port Ellen and a 15 year old Strathmill were almost the same price and we could buy our whiskey according to our taste, not its price. So I have a lot of bottles, but I buy almost none, except bottles that really interest me a lot. When the new Brora from the new distillery comes out, I’ll buy it for sure! Otherwise, I do not really drink spirits and I keep this space of consumption for wine. The number of websites talking about spirits in general is exploding, what does it make you to be generally seen as a reference? Do you have any advice for all these newcomers? Me a reference? I just started very early. If I did the same thing by having started five years ago, my site would be well drowned and in addition, some recent sites are much better. Especially since the info is much easier to find (but it is sometimes wrong), while at the time, apart from a few books, you had to go see the distillers. But yes, it’s just the temporal preeminence that played. 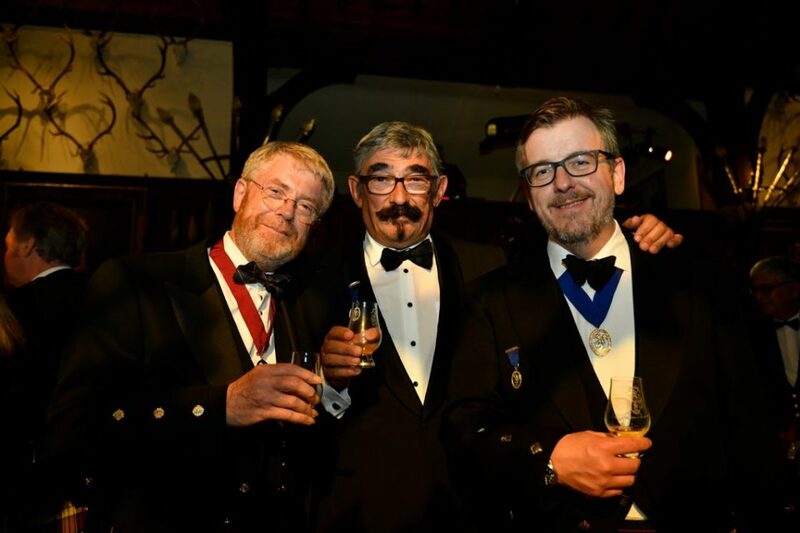 It should be noted that Malt Maniacs existed before Whiskey Magazine UK, and Whiskeyfun before Jim’s Whiskey Bible. In terms of advice, I have one little to give, maybe choose a sustainable model in terms of content, to avoid stalling after six months. We can not eternally explain the (false) difference between whisky and whiskey, or destroying Diplomatico every two weeks. Otherwise, have fun, stay humble, and maybe choose an original angle. It is sure that all these new bloggers who start by explaining that they have finally found a much better rating scale than what exists, and that they will revolutionize the world of blogging will not go very far. Here, if I were to start today, I would focus on crazy, improbable, odd, or funny spirits. Celery brandy, finished whisky, rum flavored with ylang-ylang, etc. What a laugh and I’m sure the audience would be at the rendezvous. But to do exactly the same thing as everyone else, no, it’s too late. There was a time when new bloggers used this tool to earn a little notoriety, to find a job in the business, often brand ambassador , but I don’t know if this thing is still working. Last question, if you had to choose THE rum that made you waw, which one would it be? Otherwise, more recently, the first good South Pacific / Fiji I’ve tasted. The surprise effect is always a plus. After, the very old rums, of course, the very old Saint-James for example, but there, part of the pleasure is cerebral. Yes, very good, but I had tasted some others before. Very enjoyable to read thru,thanks! Great interview. Serge is my personal gold standard. Yes, very good one… but you and Cyril were also my first reading about rum !